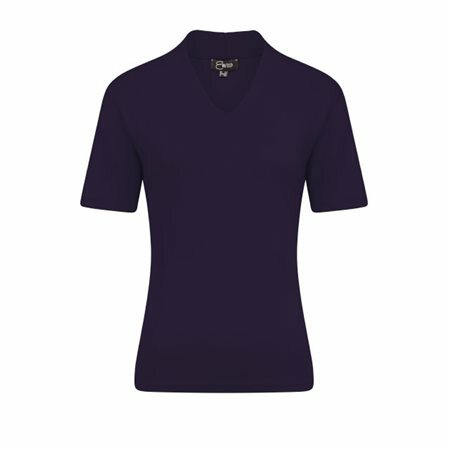 This simple short-sleeved navy top is a wardrobe must have for the summer season. The pretty high neck finish gives this top a contemporary touch. Other colours are also available.